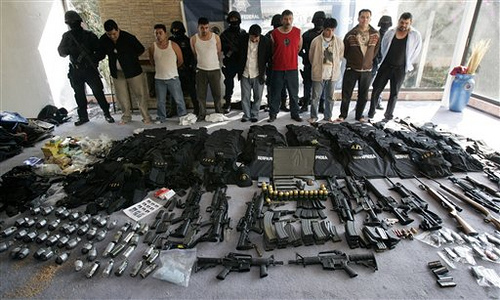 In Obama Land if law-abiding American citizens have their 2nd Amendment rights removed Mexican drug cartel crime rates will go down. In his latest Fast and Furious stonewalling before Congress, U.S. Attorney General Eric Holder revealed Obama’s desire to sacrifice our Second Amendment rights…”to improve our relationship with Mexico and reduce their crime situation”. 1996: Obama endorsed a total ban on the manufacture, sale and possession of all handguns. 1998: Obama endorsed a ban on the sale or transfer of all semi-automatic firearms. 1999: Obama supported a 500 percent increase in federal taxes on ammunition. 2003: Obama voted to ban single-shot, over-under, and side-by-side shotguns. 2004: Obama said the right to carry should be banned nationwide. Obama even said you shouldn’t be allowed to have a gun in your home for self-defense! Obama’s nominees—Supreme Court Justices Sonia Sotomayor and Elena Kagan— …are among the most rabidly anti-gun U.S. Supreme Court justices in American history. 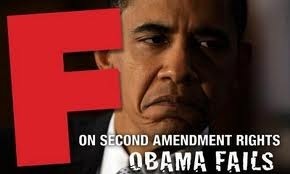 Obama’s legislative policies in his secret war on our Second Amendment freedom can be reversed. His appointments to the Supreme Court cannot. It’s why the NRA believes 2012 matters so much for preserving our Constitutional rights.